This blog post was also written by SAS' Bari Lawhorn. 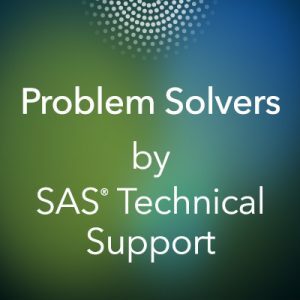 We have had several requests from customers who want to use SAS® software to automate the download of data from a website when there is no application programming interface (API) to do it. As an example, the Yahoo Finance website recently changed their service to decommission their API, and this generated an interesting challenge for one of our customers. This SAS programmer wanted to download historical stock price data "unattended," without having to click through a web page. While working on this case, we discovered that the Yahoo Finance website requires a cookie-crumb combination to download. To help you automate downloads from websites that do not have an API, this blog post takes you through how we used the DEBUG feature of PROC HTTP to achieve partial automation, and eventually full automation with this case. 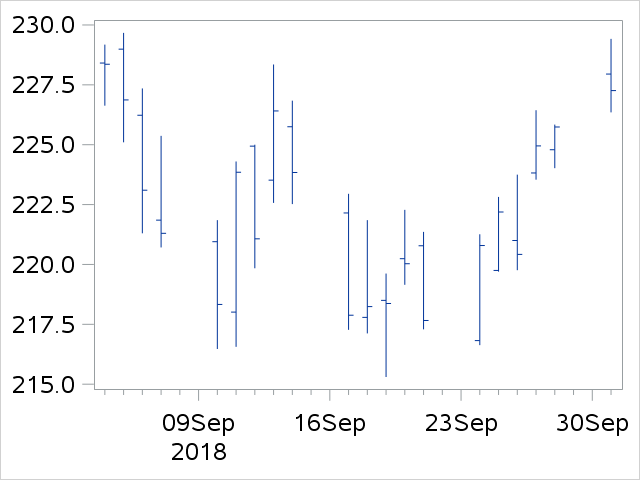 We click Historical Data --> Download Data and get a CSV file with historical stock price data for Apple. We could save this CSV file and read it into SAS. But, we want a process that does not require us to click in the browser. Note: The context menu that contains Copy link address looks different in each browser. PROC HTTP sets the cookie for the Yahoo Finance website. Adds the DEBUG statement so that we can obtain the crumb value from the log. The second step uses the cached cookie from Yahoo Finance (indicated in the "CrumbStore" value), and in combination with the full link that includes the appropriate crumb value, downloads the CSV file into our c:\temp directory. With the cookie value in place, our download attempt succeeds! This partial automation requires us to visit the website and right-click on the download link to get the URL. There’s nothing streamlined about that, and SAS programmers want full automation! It is a little overwhelming to examine the web page in its entirety. And the HTML page contains some very long lines, some of them over 200,000 characters long! However, we can still use the SAS DATA step to parse the file and retrieve the text or information that might change on a regular basis, such as the crumb value. In this DATA step we read chunks of the text data and scan the buffer for the "CrumbStore" keyword. Once found, we're able to apply what we know about the text pattern to extract the crumb value. We feel so good about finding the crumb, we're going to treat ourselves to a whole cookie. Anybody care for a glass of milk? The following code brings it all together. We also added a PROC IMPORT step and a bonus highlow plot to visualize the results. We've adjusted the file paths so that the code works just as well on SAS for Windows or Unix/Linux systems. Disclaimer: As we've seen, Yahoo Finance could change their website at any time, so the URLs in this blog post might not be accurate at a later date. Note that, as of the time of this writing, the above code runs error-free with Base SAS 9.4M5. And it also works in SAS University Edition and SAS OnDemand for Academics! Adam Bullock is a Senior Principal Systems Technical Support Engineer in the Midtier group in Technical Support, where he has provided support for the SAS Middle tiers for the past 10 years. Adam has specialized in support for SAS Web Services, Http and Soap SAS procedures as well as SAS Java APIs and SAS Viya Rest APIs.